Here is a continuation of yesterday’s post in which I’m whipping up headbands in a desperate attempt to combat the pile of frizz that my hair has become. Since I wrote that post… its rained again. Of course it has. And the helpful folks at google weather are telling me the humidity outside is running around 70%. I’m telling you, no amount of conditioner can tame my frizz in weather like this. The only course of action is to keep it all ruthlessly tied back with a scrunchy and squished flat with a headband. Yes, this is one of those times when my knitting and crochet becomes more than a hobby. Its now a critical life skill. Yesterday was crochet headbands for the hookers. 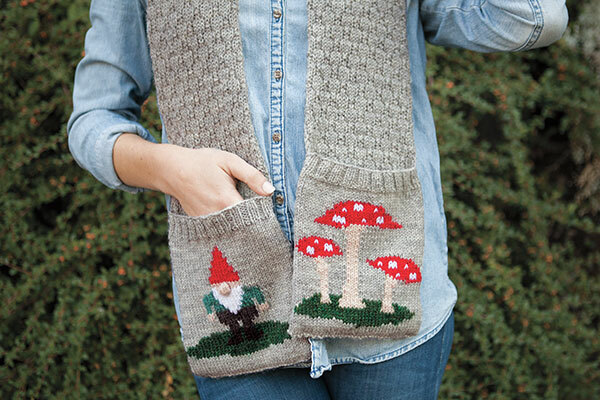 Today I’m sharing a little knitted pattern and its made with dropped stitches. I love drop stitch. 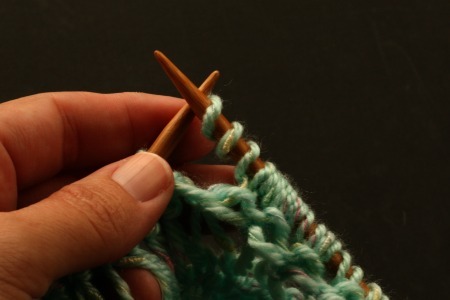 Ninety-nine percent of the time the last thing you want in your knitting is a dropped stitch. Then there is the one percent of the time when you do it on purpose. Dropping your stitches on purpose is so counter-culture. It will make you feel like a rebel. 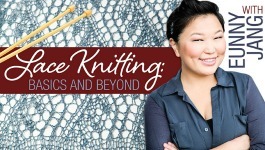 It will make you feel like the James Dean of knitting! 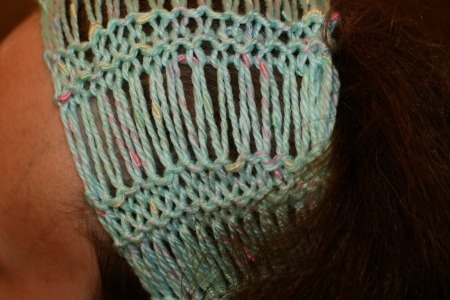 Then there is the super easy way to make drop stitches and that is the method I used in my headband. 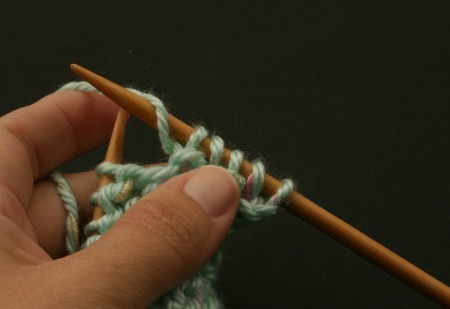 The basic technique is to add in a bunch of yarn-overs on one row. One the following row, all those yarn overs are dropped off the left needle. You don’t knit/purl them. Just let ’em fall. The result is all the non-yarn over stitches get stretched out and big. The more yarn overs you add in and let drop, the more stretched out the remaining stitches become. If you’re ready to give drop stitches a try (you maverick!) here is a quick-ee of a pattern with a photo tutorial. kfb – knit front and back (an increase). 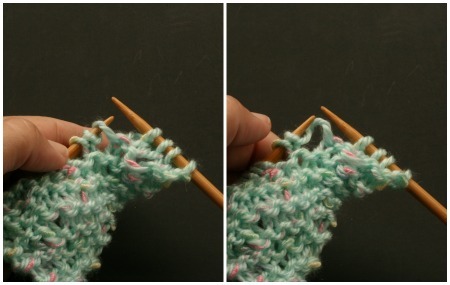 Knit into the front loop of the next stitch but do not remove from the left needle. Knit into the back loop of the same stitch. Then slide off left needle. ssk – slip, slip knit (a decrease). Slip next two stitches as if to knit one at a time. 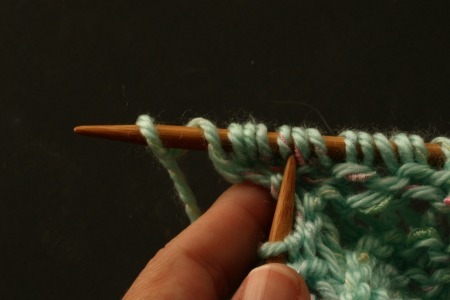 Then insert the left tip into the front loops of the two slipped stitches. Knit them together. 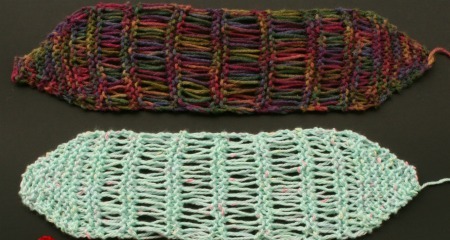 k2tog – knit 2 together (a decrease). Knit next two stitches together. 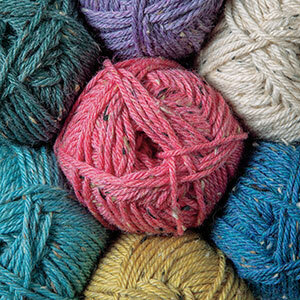 YO – yarn over (an increase). Repeat Rows 3 & 4 four more times (should have 16 sts). Repeat Rows 9 – 12 three more times (four more times for the large size). Then work Rows 5 – 8, followed by Rows 1 & 2 (but not 3 & 4). Repeat Rows 3 & 4 until 4 sts are left. 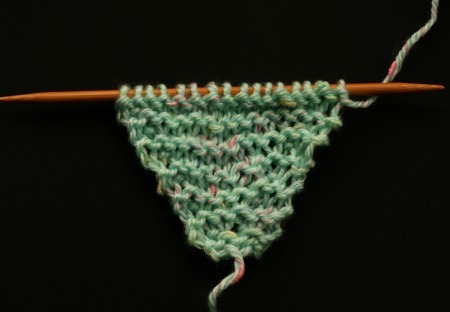 Then bind off, and use tail to sew cast on edge to bind off edge. Now you have a highly effective hair-frizz control device should you need one. And you’re an expert on dropping stitches… on purpose. 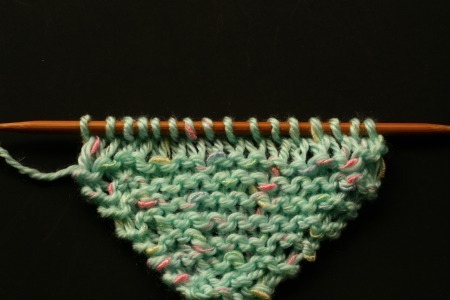 This is a technique you can use in any plain garter stitch or plain stockinette stitch pattern to jazz things up. I think its excellent for showing off a variegated yarn. Like tutorials? You can find all my how-to posts right here. 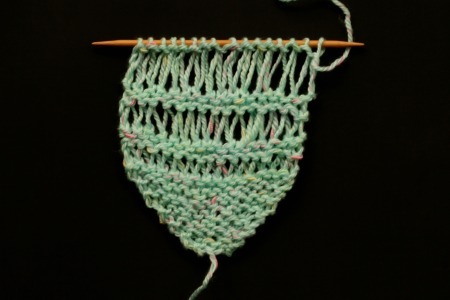 7 Comments on "Knitting the drop stitch"
Great! I hope you do give it a try. Drop stitches can be fun. And the are so open that they are nice for warm-weather knitting. Not that we are getting much warm weather here! Yes its been too much rain. I’m grateful that I live on an upper floor. Those poor downstairs people have to deal with constant flooding threats! 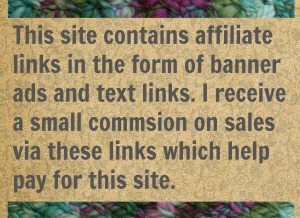 As for a scarf I’m assuming that you’re making it with worsted weight yarn? Try casting one 30 stitches and see if you like the width. 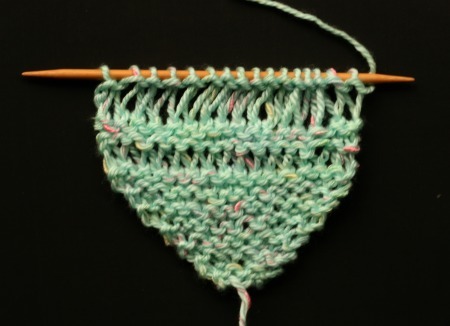 This stitch pattern will work with any number so you’ll have plenty of flexibility. 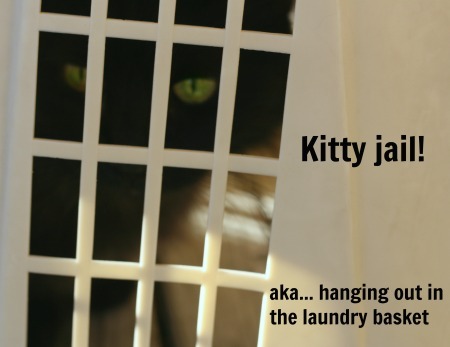 Let The Stitch Drop – Knit Happens, Sew What?